Game Revolution have published an interview with Senior Producer Josh Austin and Head of Communications Michael Cerven from Alien: Blackout’s publisher, D3 Go, in which the duo discuss the inspiration for Alien: Blackout, how D3 Go and Rival Games came together, the Alien’s AI and about the backlash to Blackout’s announcement. We had the opportunity to pursue an Alien title which is funny because I was watching Alien Covenant and I came up with the basic idea of it. And then [developer] Rival also had a similar idea so we put them together. Fox actually introduced us to work on the title because they had been talking to Rival too. Rival made a game for Thief of Thieves with Robert Kirkman [from The Walking Dead] and they got awards for that title and a good independent studio that [focuses on] quality over everything else. We thought it would be a good fit so we went for it. 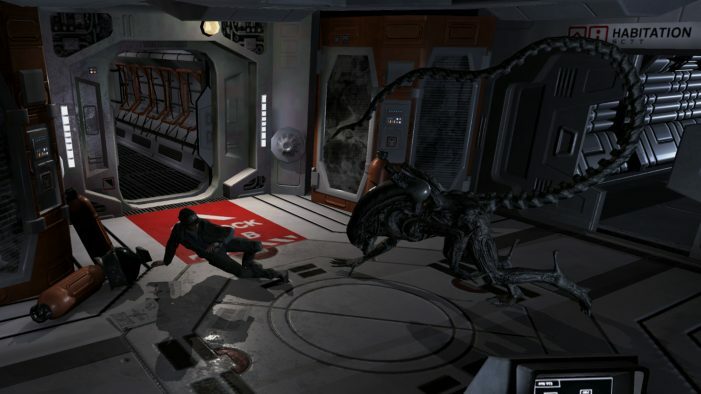 [That scene in] Covenant had some similarities to other survival horror mobile games. Let’s try and find a way to make it our own and use the Alien brand to the most potential that we could to keep that fear and the feeling of the first movie. When talking about the Alien’s AI and how it compared to Alien: Isolation’s Alien, Austin told Game Revolution that Blackout’s Alien was indeed a learner like Stompy! He is dynamic. He learns from what you do and also listens to what you do. He can be relentless and ruthless in this game and we thought that this was a great mechanic for this game. We had a few back and forths on if this game was a little too hard but we kept it this way because it is in an unpredictable killing machine so that’s what we tried to focus on was keeping it super difficult and hard to predict. One time he might come down one area and another time he might come down a different area if you replay that same level. We tried to capture different ways of him interacting with the world from the get go. So when you play a level, it’s not going to play the same. And he also reacts to what you do. On the topic of the fan backlash to Alien: Blackout’s announcement and it not being a console/PC title (or Alien: Isolation 2) Michael Cerven told Game Revolution that fans should be excited for what Cold Iron Studios has in store for us! I think people should be excited about the game those guys are working on. They spent a lot of time on the [Alien MMO game] and are excited about revealing those details. I don’t know when they’ll reveal those details but hopefully soon. But we’re a separate experience to what those guys are doing. [Blackout] is just one little element to the Alien story. Between the game and all the other stuff Fox is working on, there’s going to a lot more information to learn about Amanda throughout the year. I have zero interest in mobile games, and zero in this game, but the guys making it shouldn't be slammed. They seem nice, invested in the series and excited about it. So props to 'em. I know some people like these types of game. Is it playable on tv? I went to buy Blackout in the Google store but it wasn't available yet. I too was quick to be angered by it being a mobile but the reviews seem great, can't really go wrong for 5$. I've also had it running on an Android emulator and it's actually a lot easier to play in terms of the interface. The scramble to save yourself from the Alien is still there but the other aspects of the gameplay is nicer. If you've got a tablet it should be playable on those depending on hardware requirements. It is playable on ipad indeed. With little to no tutorial going on, the learning curve is steeper than I would have liked and the interaction is limited. Sound, design and general mood are exceptional though. Trailer looks good. Is this playable on the iPad? I've never played FNAF, so I'm pleasantly surprised by Blackout. It's fun. This does make me excited for cold irons, i do hope itll be like avp2.